Located in East Melbourne directly across the road from Jolimont Station, which is only one stop to the city and within walking distance to MCG, Rod Laver Tennis Arena, Epworth Hospital, Fitzroy Gardens, Captain Cook’s Cottage, Parliament House, Princess Theatre, to name just a few attractions is this newly styled and furnished 2 bedroom/ 2 bathroom security apartment. You really won't need a car being walking distance from everything that Melbourne has to offer but you also have the added advantage of secure under cover parking. The apartment is located right above the famous Laurent Pattiserie and has great restaurants, cafes and shopping within walking distance along Bridge Road being located right next door to Richmond. This apartment is located opposite Jolimont railway station and the number 48 tram super stop. But why bother with public transport when it's a 10min walk through the Fitzroy Gardens to Spring Street and a 15min walk to Federation Square or Bourke Street Mall. As has been mentioned the MCG and Melbourne Park are literally across the road!! *Have you got a baby or an infant traveling with you? We’ve got you covered. Contact us, as we can also provide you with baby items (on availability and additional cost). We offer excellent package rates for two or more items. * Extra $40/night will be charged for guests over 3 or if the sofa bed needs to be prepared. Hey I’m Aymeric! I’m a French expat from the vineyards of Bordeaux with a love for animals and travelling. At 18, I moved to the USA for 10 years and lived in Boston, Miami Beach and San Francisco while exploring most of Canada, Central and South America. For the past 15 years I’ve lived in Sydney, Australia, mainly because of the beautiful beaches here. On weekends in summer, you can find me volunteering as a surf lifesaver on Tamarama beach. I work for MaisonNets, a boutique agency specialising in short-term rental management. The MaisonNets portfolio has over 125 properties, encompassing mid-range to luxury apartments and houses in Australia’s capital cities, as well as country homes and a villa in Bali. 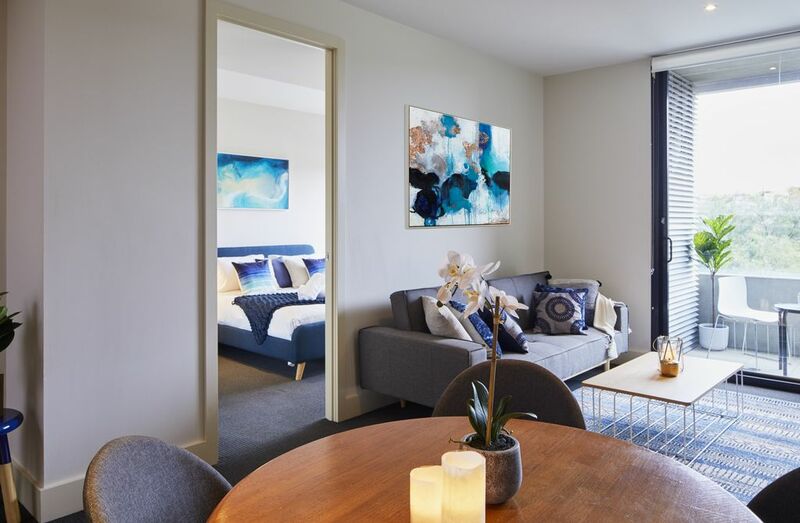 Our properties are all specifically selected for their amenities and prime location - the accommodation of choice for urban sophisticates, professionals, couples and families looking for a uniquely comfortable experience. With a focus on organic products, MaisonNets offers unparalleled personal service and attention to detail ensuring that you, our valued guest, have a wonderful stay with Central and South America. I've now lived in Australia for the past 15 years. I have a passion for animals and I am also a lifesaver at the beach on weekends in summer. Very lovely, well presented unit. The apartment was tidy and in a fantastic location, especially if you’re going to the footy. The initial access was very easy and the host went out of their way to make our stay enjoyable.